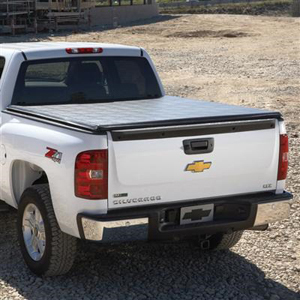 This Soft Tonneau Cover is constructed of durable, lightweight black grained vinyl to help protect truck bed cargo from the elements. The tri-fold design allows for quick and easy installation and removal. Requires Bed Rail Protectors.